From the time he was eight, Ambrose Serafeim planned to follow his father’s career path- that of a celebrated surgeon known for his innovations, abilities, and compassion. Years later, Brose is a doctor but resembles little else about his dad. His father’s cancer, then suicide, the latter spurred on by a secret bipolar disorder, left Brose shattered and bitter. He was also left questioning everything he thought he knew about the man he revered so deeply. After reaching rock bottom in his own mental state, Brose is faced with a different kind of intervention that may finally answer his questions and help him face his demons. 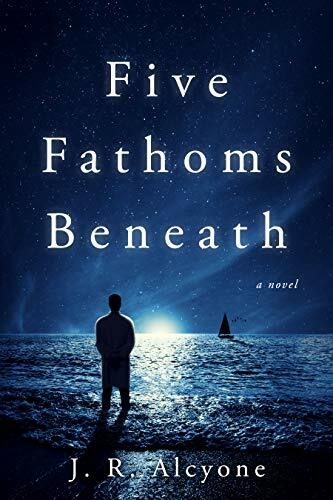 Five Fathoms Beneath, J.R. Alcyone tells a heartbreaking story about the Serafeim family, their history of mental illness, and just how devastating that illness can be when left to its own devices. From the start, Alcyone describes the symptoms, stigma, and progression of bipolar disorder and depression with startling realism and even though the bulk of the story is set in the decades between the 1950’s and 1980’s, many of the issues are still relevant today. Because of this, it’s a book that can be hard to read. However, the subject is always treated with a sensitivity that never demeans or trivializes the issue at hand. The book moves smoothly as it depicts the passing of the years, even as the characters’ lives grow more tumultuous. Brose’s father, Alec, kept his diagnosis a secret because of the societal stigma attached to it, while Brose hides his largely out of denial. Although their reasons differ, both suffer greatly. As is the case in life, Alec’s suicide affected everyone in his life in some way and created ripples that only escalated over the years. After all those years, Brose eventually becomes a typical tragic figure, projecting all the outward appearances of success- high profile career, money, big house, etc.- while everything in his life is actually falling apart. True to life yet again, those around him suffer just as much or more. Even though the ending is formulaic, providing a sense of redemption even, the journey there is anything but as Brose’s path to healing begins in an undefinable place. All in all, it’s an intensely well written book that was hard to put down at any point. By the author’s own admission, this is a book about mental illness. Although that theme is the brain that allows it to exist and function, family is at the heart of the story. 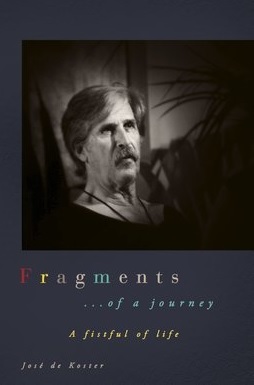 As long as the reader knows him, Brose’s decisions, and his battle with his own depression, are framed within the context of his relationships. He is constantly checking himself against his father’s perceived shortcomings while trying to keep the appearance of normalcy for the sake of his family. Those relationships also provide an anchor. This book was engaging, well paced, had extremely well written characters, and never patronized or hid from its difficult subject matter. Posted on December 19, 2018, in Book Reviews and tagged alibris, author, author life, authors, barnes and noble, bipolar, book, book club, book geek, book lover, bookaholic, bookbaby, bookblogger, bookbub, bookhaul, bookhub, bookish, bookreads, books of instagram, booksbooksbooks, bookshelf, bookstagram, bookstagramer, bookwitty, bookworks, bookworm, depression, ebook, family, fantasy, father, fiction, Five Fathoms Beneath, goodreads, ilovebooks, indiebooks, jr alcyone, kindle, kobo, literature, mental illness, nook, novel, publishing, read, reader, reading, redemption, shelfari, smashwords, son, story, suicide, writer, writer community, writing. Bookmark the permalink. Leave a comment.